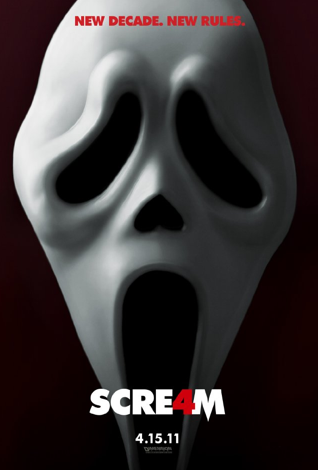 The fourth installment of Scream is relying on old favorites and big names to draw in the crowds. Not content on leaving the original cast - Neve Campbell, Courteney Cox, David Arquette - to bring box office gold, the cult classic is giving the audience some fresh faces. Anna Paquin, Kristen Bell, Hayden Panettiere, Adam Brody and Emma Roberts will all be running away from the mask. Scream 4 hits theaters on April 15, 2011 - will you be there?